Freelancers are unusually vulnerable to bad contracts – less likely than a larger business to be able to afford legal advice, and more likely to feel pressured to accept the terms, whatever they may be. However, a bad contract is not unlike a wicked stepmother, it can cost you dearly: not just financially, but also in terms of wasted effort and a reputation in ashes. What every freelancer needs are these nine clauses that can turn a pumpkin of a contract into a handsome, secure vehicle for your project. Let’s take a look at these essential clauses for freelance contracts, and why you need them in your life! This is probably the most important clause you can have in a contract, and it’s critically important that you ensure at the outset that any terms the client might have in mind don’t disadvantage you badly. A good clause will clearly set out the amount you’ll be paid, whether you’re getting a lump sum or paid per hour, and when and how you get paid. For a major project that will cover several months or is open-ended, you need to determine payment frequency (monthly being normal). There are endless arguments on forums about whether to require some payment up front for a big project. Client willingness will figure large in whether this is possible – certainly, it’s a solution that provides security for you as a freelancer. However, if you have a solid contract, agreeing a regular payment schedule should work just as well and will probably be more acceptable to the client. Some clients are just uber picky, some can’t make their minds up. You need to have a clause that ties down a reasonable number of revisions, after which you will be paid a specified amount per hour or correction, or you could find yourself endlessly tinkering with your work. If you have a clause like this, not only will it save you from dithering or perfectionist clients, it will also focus their minds on the changes they’re making and will hopefully ensure they think more carefully about their choices. Be as specific as you can – you don’t want to be landed with unexpected extra work because you were too vague in defining what was and wasn’t reasonable revision. If you have ever heard the dreaded words, “Hey, I just thought of something great that we really need to add into this project!”, you’ll understand exactly what this next clause sets out to do: set out the precise details of the scope of the project. You need to have a very clear idea of what’s in the contract and what’s not, because doing endless unpaid extra work should not be one of your duties. If a client wants something extra, a clause saying that extra work will be negotiated separately will make sure that you get paid for everything you do. Depending on what type of freelancer you are and the type of client you’re working for, there are different types of copyright and a range of issues that could arise. Many clients will want work done for them to be unique, which will mean assigning copyright to them at least for first use, and there are all sorts of options and nuances for particular types of work. Anything tangible that you create automatically has copyright, and to make that official you can register it at the US Copyright Office. Sometimes you’ll be the one wanting to define a deadline, and often the client will have a deadline in mind themselves. Having that set out in a clause in the contract is something that focuses you and your client, and should help prevent undue delay on their part. 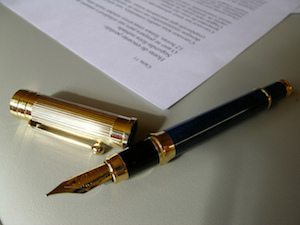 If you have a deadline to work to, set out in the contract, it is binding on both you and the client. This means that should the client suddenly go missing for a month and then reappear only to blame you for the project not being complete, you’ll have protection. For all sorts of reasons, sometimes a project just doesn’t go right. Circumstances change, situations alter, and through no fault of your own you can find yourself having done a lot of work, but with nothing to show for it. This is where a ‘kill fee’ comes into its own. This simply states that should the contract fail despite your best efforts, you are due a kill fee (which should be agreed in this clause). That way, although you may not get everything you’d hoped for, you will at least rescue something from a bad situation. Your contract must make clear that you’re an independent contractor to protect your freelance status (and make sure that the IRS isn’t breathing down your neck). It’s very important to have a clause that states this explicitly, because you need protection from anyone who might think they could have your services exclusively with a craftily-worded contract. Whatever the precise wording, you must be able to work to your own schedule, within your deadline(s), and undertake work for other clients. It happens rarely, but sometimes clients themselves have clients for larger projects, of which you are just a part, possibly even without your knowledge. If their larger contract goes wrong for some reason, you don’t want to find yourself on the receiving end of litigation. A useful clause would indemnify you against future losses made by the client – this would state specifically that you’re not an agent of that company. That way, if your client makes a mistake, you won’t be the one paying for it. If you have ever found yourself working for a large company, you may well know the frustration of not being able to find anyone to give you feedback or sign off on your work. If you have a point of contact set out in your contract – someone who is designated to liaise with you, and agree that the project has been completed to satisfaction – then you’ll be guaranteed an easier time. Better still, ask the client to provide a second point of contact should the first fall ill, move on, or go on holiday. While it’s very hard to cover every single potential issue, good contract clauses will give you protection for vital aspects of your work. Make sure you include them. Have you come across any interesting or unusual contract terms and conditions? Let us know in the comments section below!